Very cool and fabrics outside your box! A win on all fronts! 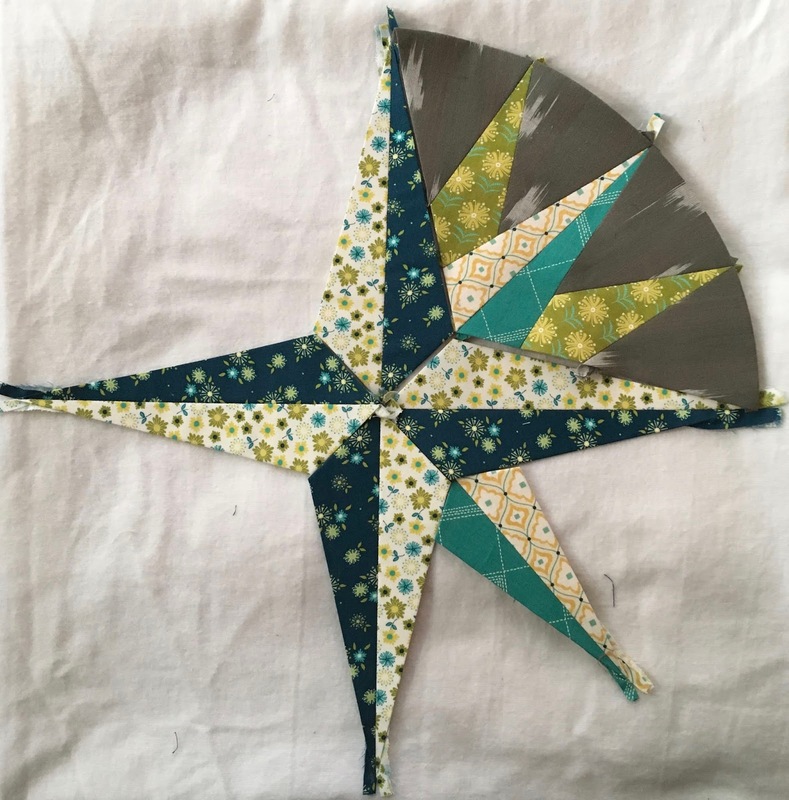 One of these days I want to make a Mariner's Compass block (paper pieced). Yours is very nice. Great idea to take the trailer to the show! How fun to start a new project... perfect way to pass the time!